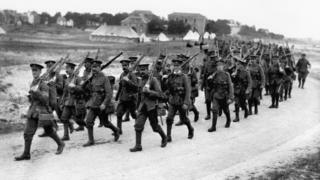 Image caption British troops were sent into battle on 1 July 1916. 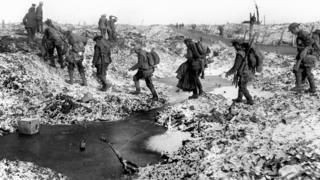 It was the bloodiest day in the history of the British army, which suffered 57,470 casualties, including 19,240 deaths. 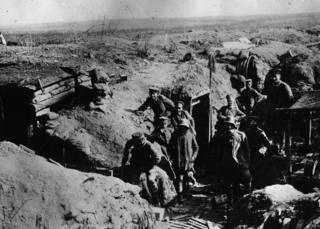 The Somme offensive was intended to achieve a decisive breakthrough for the British and French allies after 18 months of trench warfare. Image caption General Sir Douglas Haig led the British troops, many of them volunteers, as they headed into battle on the Western Front. 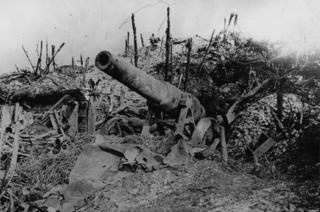 Image caption During the seven days leading up to the battle, the British army bombarded German lines with artillery. 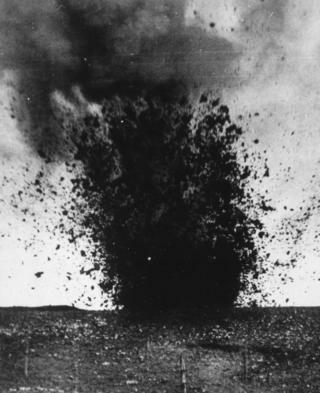 As 07:30 "zero hour" approached, a series of mines were detonated, including one at Hawthorn Ridge. 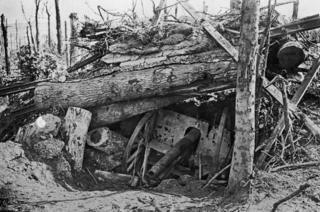 Image caption But the German troops were largely unharmed in their protective dugouts. When the artillery bombardment ceased, the machine gunners came out and opened fire on the advancing troops with devastating results. Image caption Poor communications meant commanders knew little of what was happening on the battlefield. 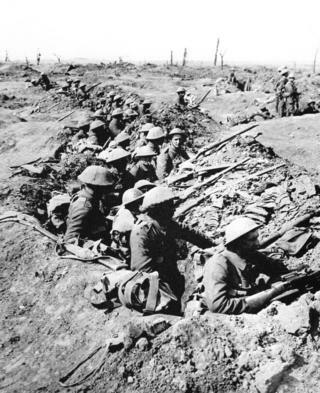 The 1st Newfoundland Regiment (not pictured) was almost wiped out as troops advanced towards no man's land and were shot dead before reaching their own front line. Image caption With no sign of the expected breakthrough, Gen Haig now regarded the Somme as an attritional or "wearing-out" battle. 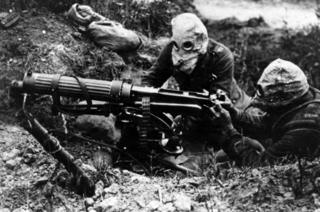 Machine guns inflicted heavy casualties on both sides. Image caption The British scored one early strategic success. 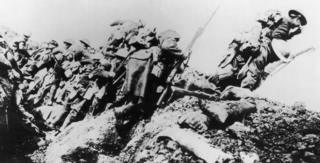 Fighting in the Somme led the Germans to call off their five-month offensive against the French at Verdun. Although fighting continued there until December it was the French who held the upper hand. Image caption The fighting dragged on with neither side making any real progress. The British Fourth Army is said to have advanced just 900m between 15 July and 14 September at the cost of 82,000 casualties. 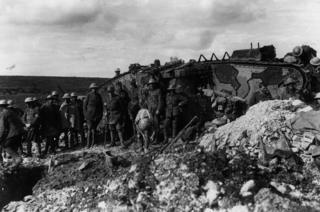 Image caption The last Allied push began on 15 September, with the British engaged in the Battle of Flers-Courcelette, which also saw the tank make its debut. 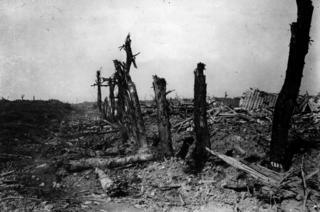 German defenders were forced to abandon their positions but there was still no breakthrough. Image caption The British and French made only small advances against the Germans at a cost of more than a million casualties. Although many criticise Gen Haig's tactics, most historians agree the Somme drained the German Army and laid the foundations for an Allied victory in 1918.